Heneral Luna, BuyBust, Kita Kita, That Thing Called Tadhana, Vince & Kath & James, and more critically acclaimed and blockbuster films to start streaming soon on Netflix. You asked for it, Netflixers… and you got it! Now you can enjoy critically acclaimed and blockbuster Pinoy films, along with your favourite global titles. Over the next few months, you will see a series of local favourites coming on Netflix Philippines. Top-notch acting, impressive cinematography, gripping plot, this 2015 historical biopic is a certified classic. 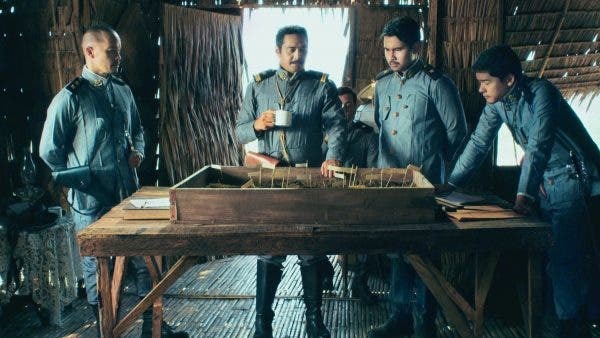 Heneral Luna is directed by Jerrold Tarog and stars Epi Quizon, Leo Martinez, and the excellent John Arcilla as the titular character. Filipinos love action films and BuyBust does not disappoint. An anti-drug squad finds themselves trapped in a Manila slum when their operation is compromised. Anne Curtis delivers an outstanding performance as an officer fighting for her life. Set in Japan, this rom-com has captivated international critics and audiences alike. Tour guide Lea suffers from heartbreak and goes blind after finding out her Japanese fiancé has been cheating on her. Enter the wickedly charming Tonyo to save her from misery. Come for the movie’s witty dialogue, stay for the on-screen chemistry of lead actors Alessandra de Rossi and Empoy Marquez. Kita Kita will kilig your heart out. Things turn upside down when the blog Cali made about her ex-boyfriend, Gio, goes unexpectedly viral on social media. To make things worse, they both get invited to a wedding of their close friend, leaving them with no choice but to face each other. My Ex & Whys stars Liza Soberano and Enrique Gil, two of the Philippines’ hottest young talents of today. When exes start working together, chaos and do-you-one banter ensue. Miggy (John Lloyd Cruz) and Laida (Sarah Geronimo), try to co-exist in the same company but their business decisions clash, causing awkward tension in the office. Ultimately, the two let their guard down and realize the real definition of true love. The Bonifacio siblings reunite when they find out their father is diagnosed with cancer. In the process, they have to deal with unresolved issues among themselves before it’s too late. This family tearjerker stars a powerhouse cast that includes Rolando Valdez, Aga Muhlach, and Dingdong Dantes. Marco thought Ginny was the one—until she rejected his wedding proposal and left the country for her postgraduate degree. Years later, they meet again and get a second chance at love. Will they get a happy ending or is Ginny four years too late? Piolo Pascual and Toni Gonzaga team up once again in this blockbuster romantic comedy. After a bad breakup, Mace decides to have a change of scenery. She goes on a road trip to Baguio with Anthony, her new friend whom she met at an airport. Like long-lost pals, they share their stories about love, life, and dreams. Best Actress Angelica Panganiban serves up laughs and romance in this award-winning hugot film of 2015. After visiting a music camp, Trixie (Sarah Geronimo), an aspiring musician, catches the attention of Gino (Piolo Pascual), a popular rock star. But while their musical collaboration brings them closer together, personal ambitions and issues soon threaten to silence their love. The Breakup Playlist is a well-loved film, thanks to a stellar cast and hit soundtrack. In this complicated love story, JD pursues the hard-to-get Sari even though he finds out she is a mistress of a rich businessman. Torn between a passionate young man and a loyal paramour, who will Sari choose? Expect plenty of sizzling scenes and charming moments when John Lloyd Cruz and Bea Alonzo come together on the big screen. In this young love triangle filled with filters, will the three of them ever find a genuine love they deserve? Joshua Garcia, Julia Barretto, and Ronnie Alonte headline this big screen meet-cute that won three major film awards.